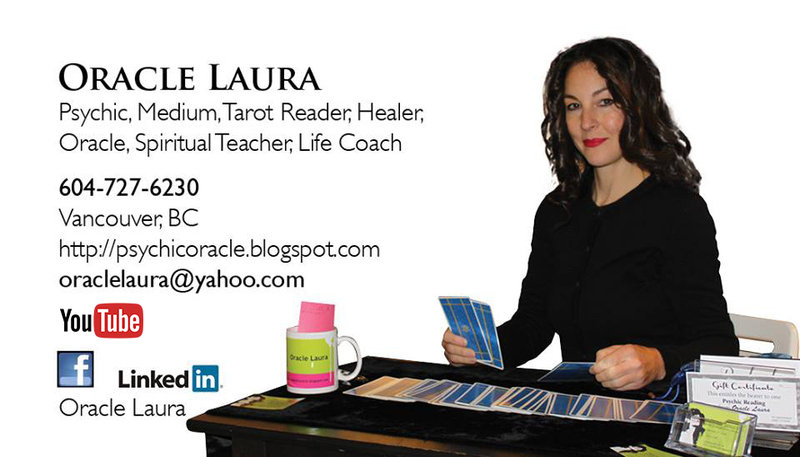 I give Psychic Readings & Tarot Card Readings full-time daily by phone, online private messaging, email, Skype & also in person in downtown Vancouver, BC, Canada & I'm available for in home/office visits if you prefer. On the right you will see a list of pages. To read TESTIMONIALS from my clients click on "Comments". 2ND FASTEST: Private Message me on Facebook, Twitter, LinkedIn or Instagram.